We have removed support for our old way of handling data files. Previously, we used some heuristics to automatically discover data files in your Jekyll and Hugo projects. Data files must now be manually configured by creating sections for them. Abstracting data file discovery in our content manager has paved the way for more easily supporting other static site generators. 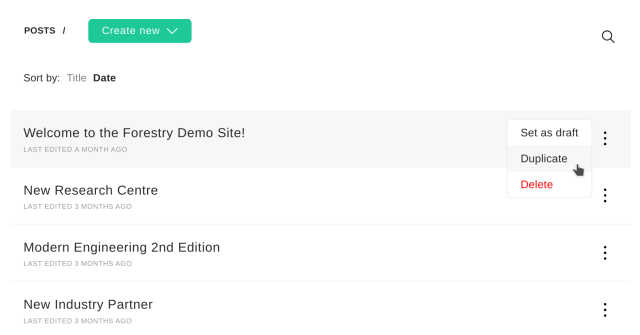 We have now removed the beta flag from our VuePress importer, as we believe that our editor can now fully support VuePress content management. We’ve added some quality-of-life improvements for content creation. 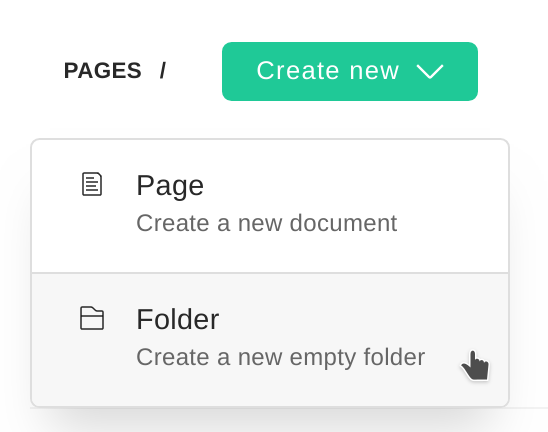 Forestry users can now create folders in any content section with create: all permissions. In addition, you can duplicate pages by clicking the ... next to the item in the pages listing and selecting Duplicate. We’ve made configuring content sections in your sidebar a little easier. The list of your sidebar sections contains more contextual information now, to help you see how your sidebar is configured at a glance. 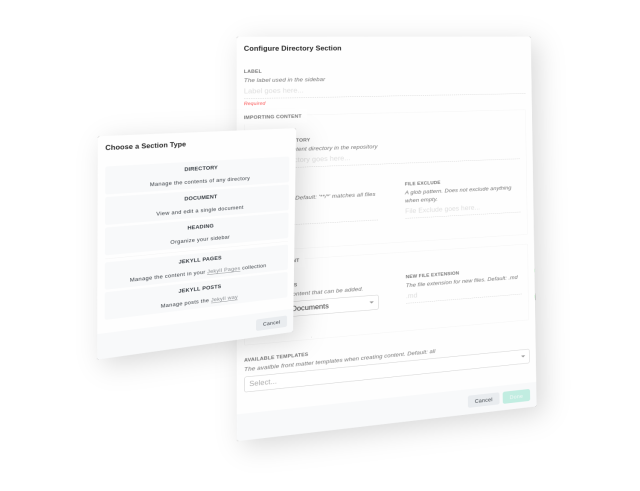 We’ve also broken up sidebar management into a two-step process and reorganized the configuration screen to make things a bit easier to understand. We’ve trimmed some fat to improve frontend performance, and squashed a few bugs along the way.